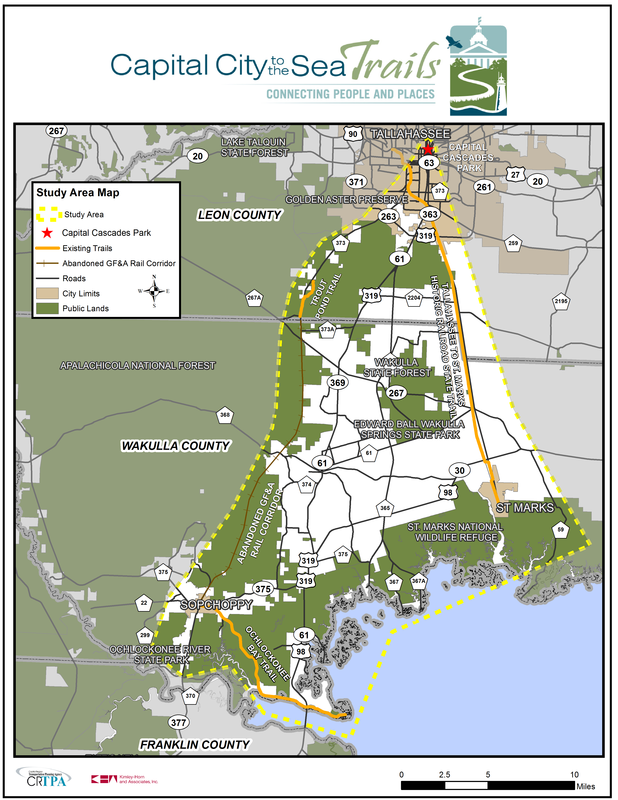 The Capital City to the Sea Trails study area includes portions of Leon and Wakulla Counties, connecting the State Capital to the City of Sopchoppy and the coast. The study area also includes Capital Cascades Park, the Tallahassee to St. Marks Historic Railroad State Trail, and the Ochlockonee Bay Trail (currently under construction). A grayscale version of the Study Area map is available here.